The 10 Best Taco Joints in Florida! Tacos are one of those iconic foods where you simply need to have more than one. 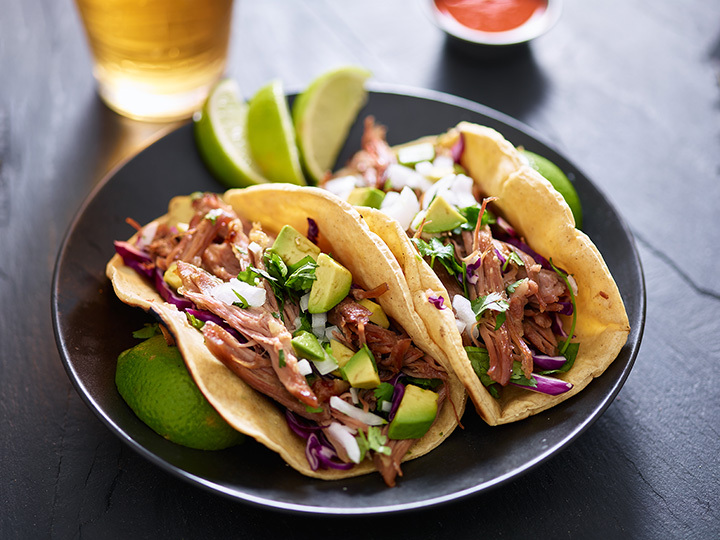 Whether you like ‘em crunchy or soft, smothered in queso or topped with chunky salsa you’ll find the perfect mouth-watering taco at any of our favorite Florida finds. Although this little taco joint might not look like much from the outside, this authentic spot serves up some of the tastiest tacos al pastor and tacos carnitas around. Locals love this joint, you’ve gotta check it out! House-made chorizo, homemade black beans and fresh salsa can all be found on Capital Tacos menu. Stop by in the morning for a tasty breakfast taco or come in during the afternoon or night time to sample some of their specialty flavor profiles. Check out one of the two Casita Taqueria locations in the St. Pete area to try some of their yummy tacos served on house made corn tortillas! The verduras taco is a great choice for veggie lovers and the pollo verde taco is a great selection for people who prefer some meat in their food. Looking for a quick bite after exploring the Wynwood Art District of Miami? Then head over to Coyo Taco for some of the most flavorful tacos in south Florida. Try the pollo al carbon or nopales for something tasty and finish up your meal with some of their sweet churros. Mojo’s Tacos is one of our favorite joints in the St. Augustine area. Their “double decker” tacos, a soft shell and hard shell stuck together with cheese, are legendary. Try one with their fresh shrimp or slow cooked chicken! Chef Omar Covarubias is a Mexico City native who truly knows everything there is to know about Mexican cuisine. His franchise opened in 2010 and has since expanded to four South Florida locations. Try the los tacos de pato specialty dish or the picadillo and chipotle tacos! Hoping to find a beachside taco eatery? The Taco Spot in Hollywood is the place to go! The unique homemade sauces found here really make this spot stand out from the rest. Pair your meal with a fruity signature drink or sangria. With four southeast Florida locations, this taco bar has some of the tastiest tacos around. Their dishes are made from scratch and use authentic Mexican ingredients. Build your own tacos for custom flavors or choose one of the signature selections! The tacos at Corner Taco in Jacksonville can be described as Mexican street tacos with a gourmet twist. Their general tsos chicken tacos perfectly blend the flavors of two cultures while the Dijon buttermilk fried chicken tacos bring an American twist to this Mexican dish. Taqueria Morelia brings a little bit of Mexico to the states with their one hundred percent authentic tacos. Whether you want the standard carne asada tacos or the adventurous lengua beef tongue tacos, this spot is definitely worth visiting.